This level have normal difficulty and you need to use good strategy to complete this level. For this level you should try to play from the bottom and eat the honey. 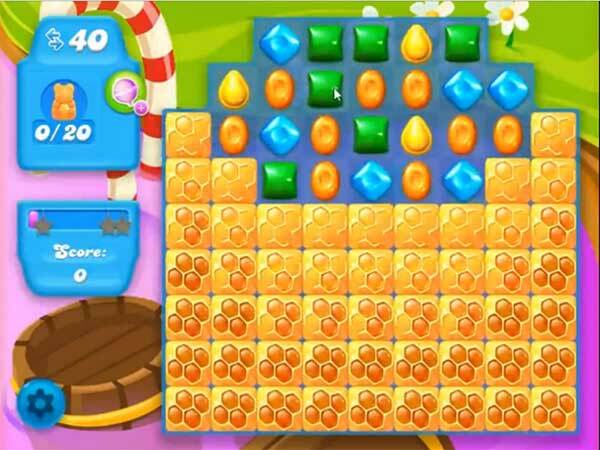 As you have more candies to play then make colorbomb by matching five same color candies and combine it with other special candy to break more honey to save the bear. After play more near to honey to break them to save all within 40 moves. I think the order is what we are supposed to get, like here, 20 bears, sometimes cherries.